Tim Schmoyer is the founder of Video Creators and trains creators to grow an audience on YouTube. The expertise he shares is followed by more than 450,000 other YouTube creators on his channel and 250,000 on his podcast, making him one of the most influential YouTube strategists. Created YouTube strategies for Disney, HBO, Century 21, Warner Brothers, eBay, Budweiser, and more. Been featured by Forbes, FOX, BBC, and even YouTube themselves. 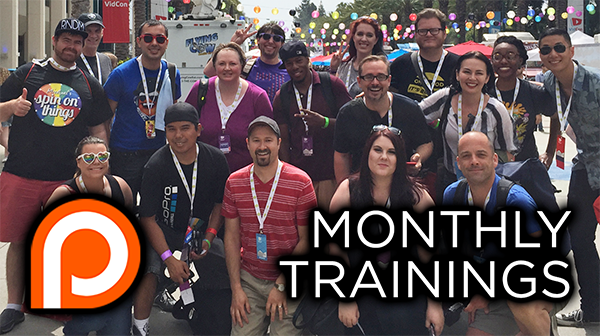 Join us on Patreon for private trainings, exclusive content, support, and community! One of my favorite parts about the Video Creators community is that there is a group of creators who are dedicated to continuing to learn how to best grow their YouTube channels and reach people with their message. The premium courses on this site enable thousands of creators to do that, but there's something special about meeting in private video calls every week with creators who are serious about taking this to the next level. We get to know each other's channels, support each other, answer questions, help each other through roadblocks, provide feedback, and more. We also get to do monthly trainings with guest experts, exclusive podcast episodes that focus on growing the income around your channel, podcast Q&A, and more. I love it! None of that happens here through this site, though. It all takes place through the Video Creators Patreon community. They support the free YouTube training videos and podcast episodes and, in return, I get to support them with the best content I can produce. To learn more about joining the Video Creators community on Patreon and all the perks that go along with it, click the link to go to the Video Creators Patreon page. I look forward to hanging out with you in private video calls and supporting your YouTube efforts personally the best way I can!